After a walk in the forest this morning I went up the back to see how many fawns were running at foot (although many are still hidden and some are yet to be born). Took some pictures so thought I would share. Unfortunately I am not a good photographer. How many do u run on ur farm n how many ha is it rushy? Just short of 12 hectares GJ so it is only a bigger lifestyle block. Numbers vary depending on the time of year but I have found that around 70 (40 adults and 30 young) works best for having enough grass not to have to do too much supplemental feeding out during winter. At the moment i suspect there would be close to 100 as I still have the yearlings which i will carry for a few months yet. Nice. You must learn a lot about their movements and behaviors, being able to watch them from your door step. 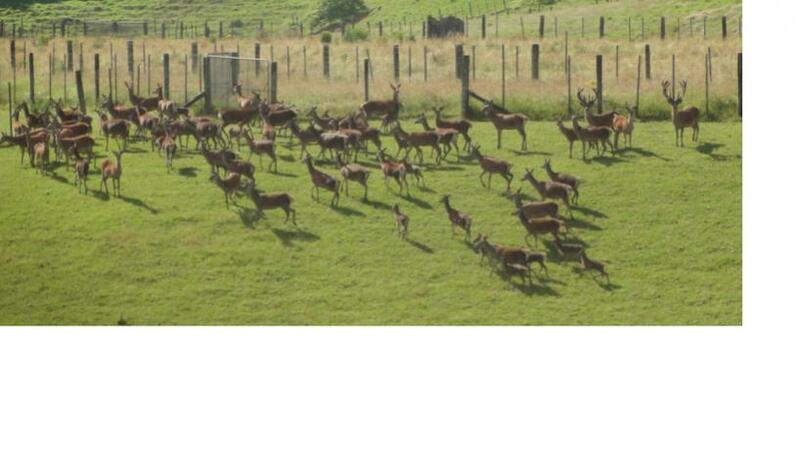 Do the stags make a mess of your paddock when they wallow? No not really, just have a couple on the farm. It is really good here for practising your red roaring come March / April. very consistant year to year ............one. I would do flik flaks across a clearing if I saw a herd like that in the wild. Your kids would love it up here VC. 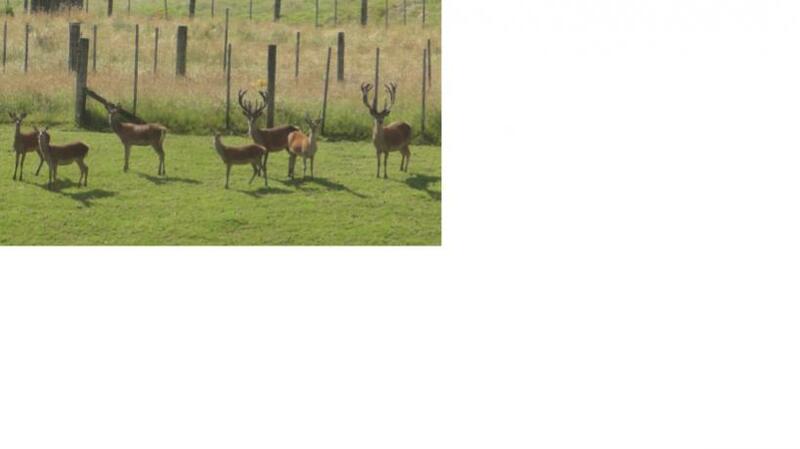 There is an older hind and a young spiker on the place that they could pet. 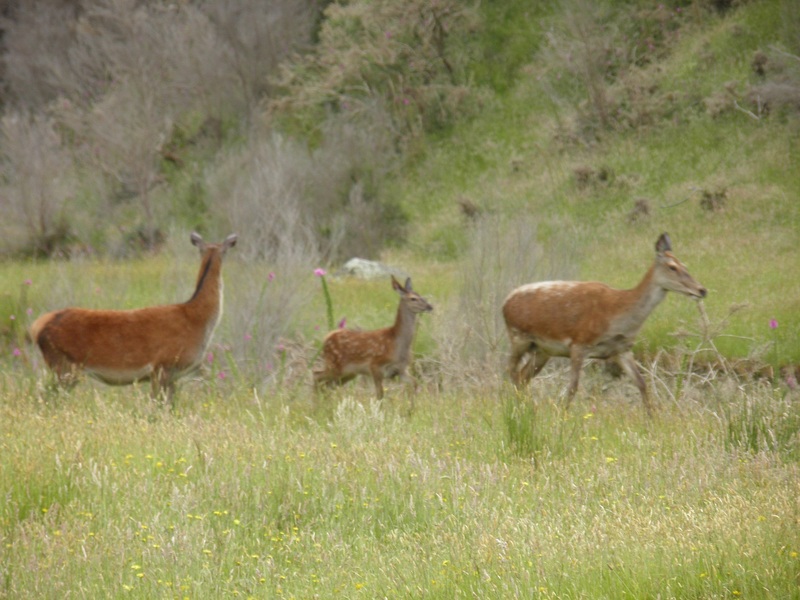 In your photo sneeze, it looks like the fawn has spots; is that an illusion, or do red fawns have spotted coats and then loose the spots when they grow up? Rushy - I bet it does! 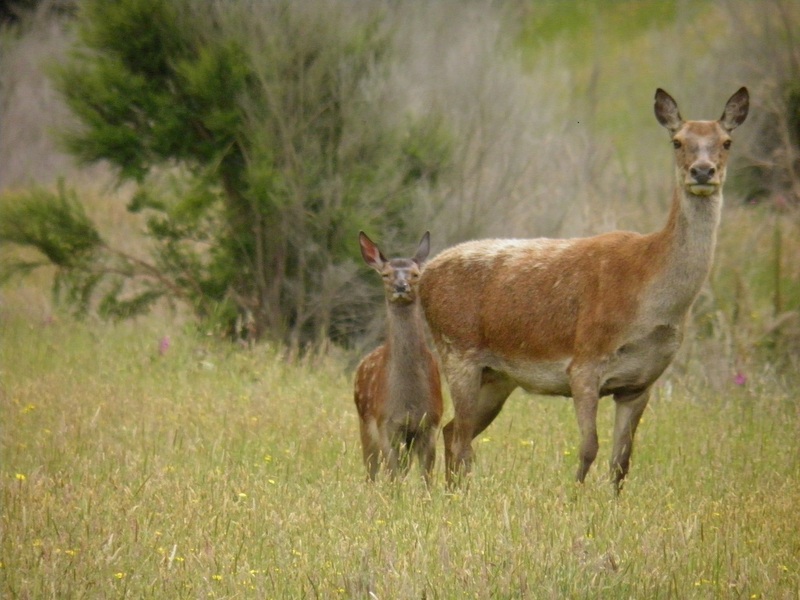 I just read in Lentle/Saxon Red Deer in NZ that deer on farms roar earlier than in the wild, so you can get some practice in before you hunt them in the bush. That book was great. Helpful too if you were training a pointer dog. We had a small 48 acre deer farm when i was a kid. Not sure what that is in ha. It is certainly the case that the stags start roaring up here a lot earlier than in Te Uruwera. 7 days overdue and counting! !